Wondercon! Emerald Knights! 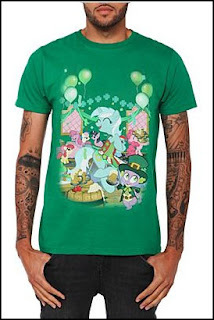 Rainbow Dash! T-Shirts! What! So Wondercon is this weekend! 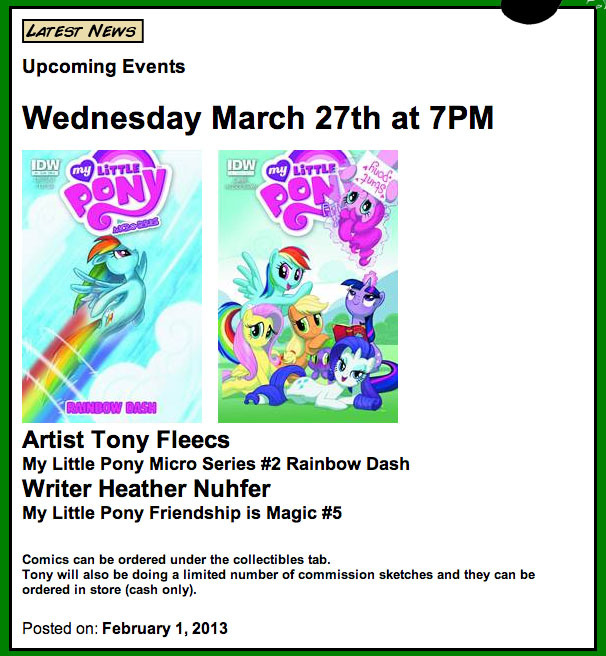 But before that, L.A. Pony fans of all ages can come get their MLP Micro series #2s signed at EMERALD KNIGHTS this WEDNESDAY NIGHT! Like I said, Wondercon is this weekend. I'll be there in artist alley at AA-18! Come by and buy some prints or sketches or pages... or just come by and chat with me. Whatever you want. CLICK HERE TO PURCHASE BADGES ONLINE NOW! So that'll be fun, right? Couple more quick items. Right now I'm hard at work on My Little Pony Micro #4 featuring Fluttershy. Here's a peek. You can pre-order that now at your LCS or right here. 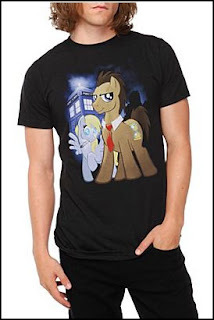 And HOT TOPIC is selling T-shirts with some of my Pony covers on them. As you all know, fashion is my life so this is kindof a big deal for me. T-shirt with my #1 variant. T-shirt of my #4 variant. 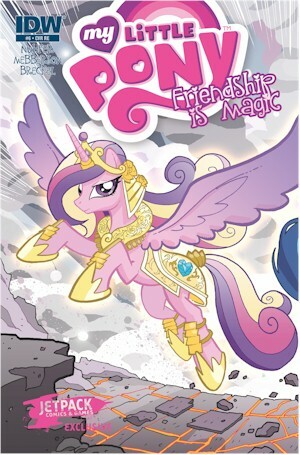 And finally, here's a few more new MLP variant covers and some links to where you can get them. 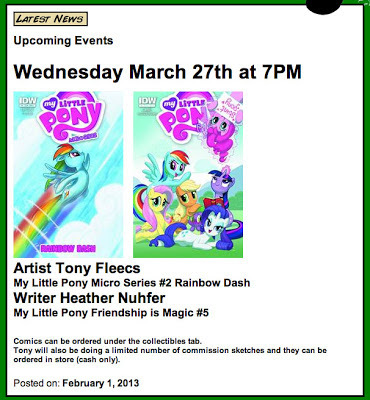 Emerald Knights Pony Signing! NoHo Represent. And that weekend is WONDERCON in Anaheim! I'll be there in artist alley. Details as soon as I've got a table number to give you. Ok that's all for this time. I'll leave you with a pony cover, the only new one that's been released since last update. 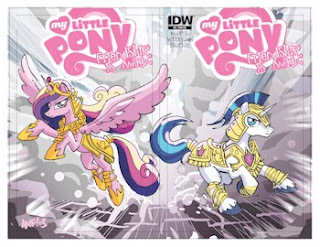 I've got 5 more finished ones floating out there and a few more on the drawing table AND a couple non-pony covers coming... I'll show you guys those as soon as they pop up online. 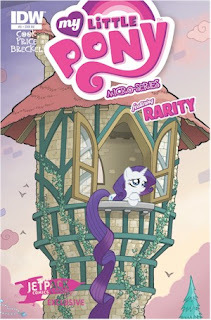 MLP Micro #2 Larry's Variant.